Miguel Tinker Salas is a professor of History and Latin American Studies at Pomona College and is an authority on the political and social issues confronting Latin America. Salas is most recently the author of Venezuela: What Everyone Needs to Know (2015). His research interests in particular center on Venezuelan politics and culture, and the U.S. presence in Venezuela. He is also interested in Latin American immigration policies and the diaspora. His expertise has been featured in several media outlets, including CNN, NPR, and The New York Times. Suyapa Portillo Villeda is an assistant professor in Chicana/o Latina/o Transnational Studies at Pitzer College. Her work broadly focuses on social movements in Central America with a focus on Honduras. In particular, Portillo’s research centers on the intersections between labor, gender, and race in workers’ lives in the history of the banana export economy in Honduras and Central America. Since the coup d’état in Honduras in 2009, Portillo has served as region expert in the media to attest to conditions in Honduras and the rest of Central America. Her expertise has been cited by CNN, NPR’s Take Two, and The Huffington Post. Sapna Cheryan is an associate professor of social psychology at the University of Washington. Her research interests include identity, stereotypes, and prejudice. Her main research topics involve investigating how stereotypes influence gender disparities in STEM fields, how immigration is changing the way we think about race in the U.S., and the negative consequences of positive stereotypes. Anton Treuer (TROY-erh) is a professor at Bemidji State University in Minnesota and director of its American Indian Resource Center. He is editor of the Oshkaabewis (o-shkaah-bay-wis) Native Journal, the only academic journal of the Ojibwe language. Subscribe to our weekly newsletter here to receive email updates. follow us @sourceoftheweek and #nprsource for more sources! want to recommend an expert? e-mail us at sourceoftheweek@npr.org. Amelia Tseng is a research associate at the Smithsonian Institute, scholar-in-residence in education at American University, and adjunct lecturer in linguistics and Spanish at Georgetown University. 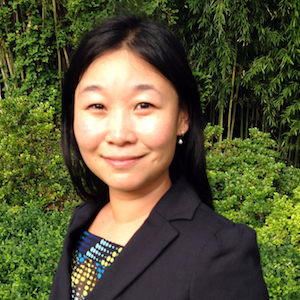 Tseng’s research addresses multilingualism, mobility, and identity.